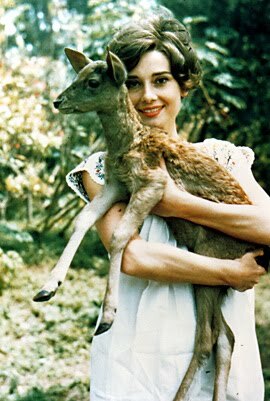 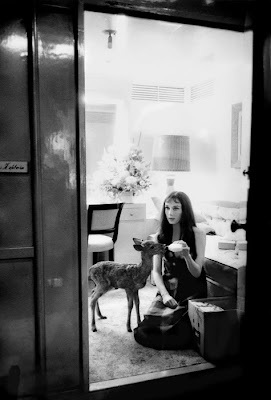 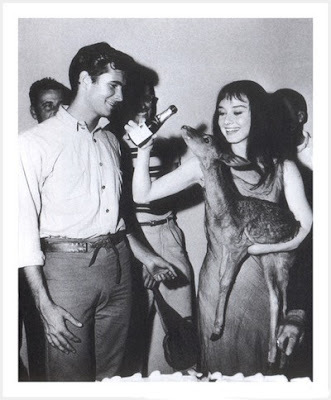 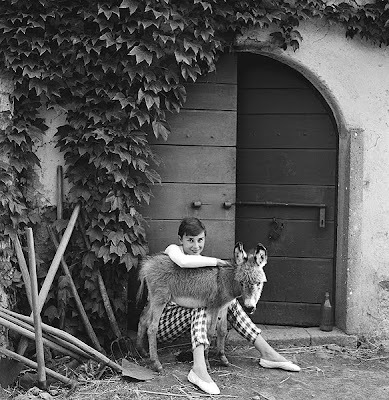 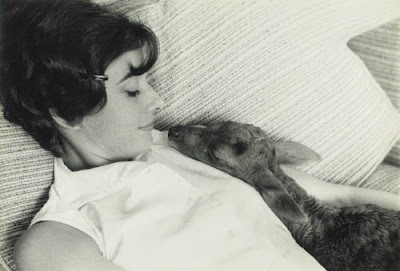 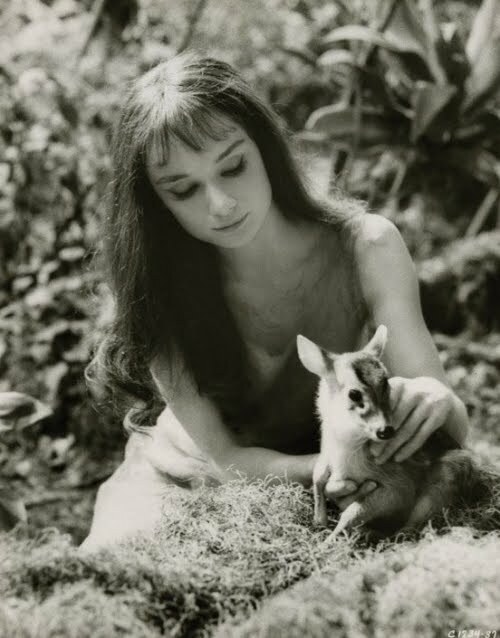 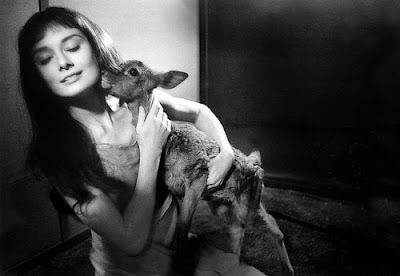 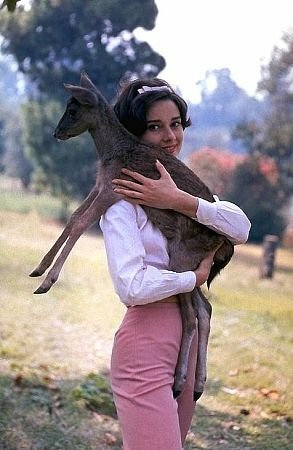 This is the adorable Audrey Hepburn with her pet fawn, Pippin (nicknamed 'Ip'). 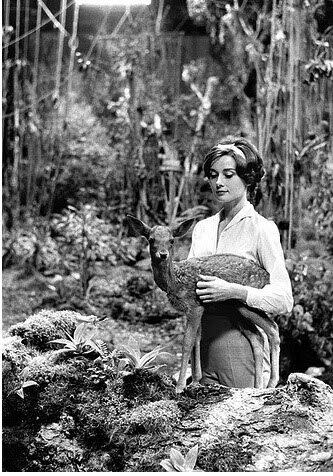 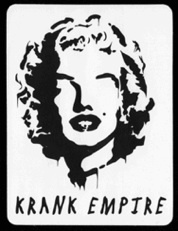 She had Ip in the late 1950s around the time of filming Green Mansions. 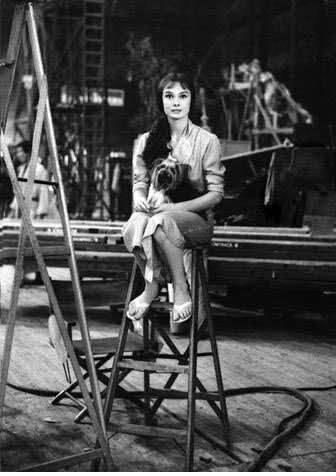 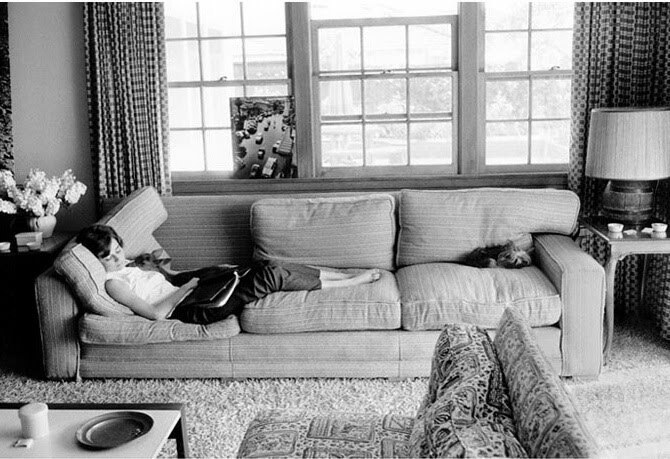 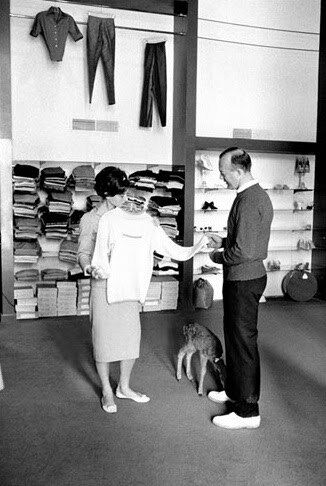 Photographer Bob Willoughby, who was the on-set photographer during many of Audrey's films, captured the majority of the precious moments between the starlet and her four-legged friend. 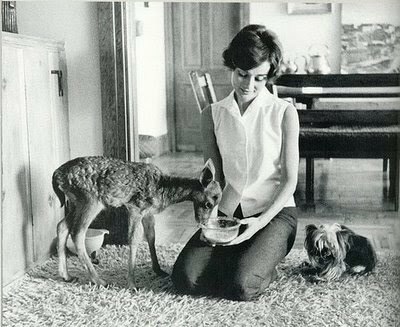 "It was truly amazing to see Audrey with that fawn," Willoughby recounted in the book Remembering Audrey, "While Audrey's maid had been told about the little deer, she could not believe her eyes seeing Ip sleeping with Audrey so calmly. She was shaking her head and just kept smiling." 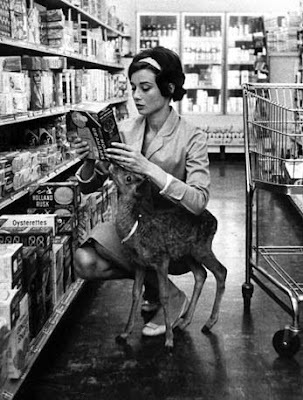 Audrey brought Ip with her to the grocery store, the tailors, and took naps with the little deer. 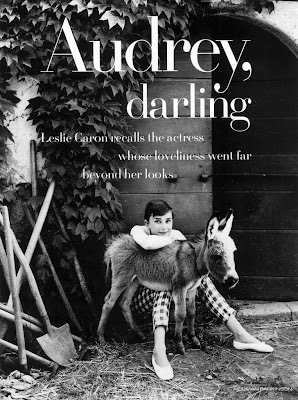 "Beverly Hills habitues are fairly blase about what they see, but Audrey being followed around town by this lovely creature stopped everyone in their tracks." Haha - I'm SUCH an airhead! But these pictures are too precious to delete so I'm just going to keep them up here. 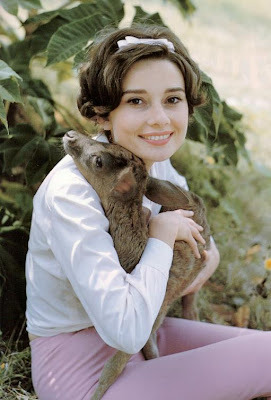 There's nothing wrong with Audrey and a pet of any variety, am I right!